This traditional gent's long leather jacket wallet, has sections for notes, an I.D. card window and 3 slots for credit cards. It measures 17cm x 10cm x 2cm and is ideal for the inside breast pocket of a jacket. (Maximum note size £50 or 500 Euro.) 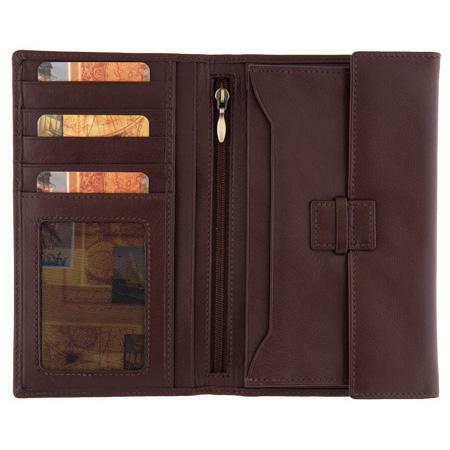 The wallet is available in brown. Closed dimensions 17cm x 10cm. Open dimensions 17cm x 20.5cm. The 1642 range of small leather goods from Lichfield Leather of Staffordshire, England has been a polular range. We only have a few choices remaining now.